Svetlana Lyons, Project Manager, Cimetrics, Inc.
To simplify the task of interfacing to BACnet, our software team created a set of BACnet libraries: BACnet Protocol Stack - BACstac. The Cimetrics BACstac customer list includes many well-known brands in the HVAC, lighting control and physical access control industries worldwide. Sinclair: Why would anyone need a BACnet Stack? Lyons: BACnet is the most popular open communication protocol for building automation systems. BACnet’s global market share has continued to rise over the last years and no wonder more and more manufacturers want to add a BACnet capability to their products. But implementing BACnet is not a trivial task. The BACnet standard is more than 1000 pages long, and a developer needs to familiarize him/herself with the BACnet protocol. You might need to port it to multiple platforms. That’s where the BACnet Stack comes into play. Sinclair: So, the purpose of the BACnet stack is to help developers to integrate BACnet into their products? Lyons: Yes. The BACnet stack is an implementation of the BACnet protocol for use by anyone who wishes to give their products BACnet communication capability. 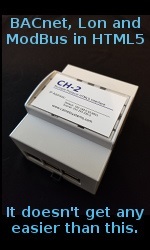 Cimetrics’ BACstac greatly simplifies the task of interfacing to BACnet. Some of the largest companies in the HVAC industry use our code because it is a very complex and time-consuming task of keeping up with the ongoing changes that are taking place in the BACnet committee. For example, plenty of protocol modifications, requirements, and enhancements have taken place in just the past year. This typically saves man-years of software developer time EVERY YEAR! Sinclair: How long have you been doing BACstac development? Lyons: Since 1995 when the BACnet was initially published. Can you believe it? Cimetrics knows BACnet like no one else. Our CEO, Jim Lee is a founder and former President of the BACnet Manufacturers Association (now BACnet International), the leading open systems networking consortium in the building automation industry. Our CTO, Jim Butler, has been an innovator in embedded networking technology for building automation. In 2000, Mr. Butler established the BACnet Testing Laboratories for the BACnet Manufacturers Association and managed its product testing program for six years. So yes – we have been doing BACnet development for over 20 years now. Sinclair: What is special about your BACnet Stack? Sinclair: There are other BACnet protocol stacks on the market. Why would a developer choose your stack? Lyons: Here are just some features which set us apart from the rest. The BACstac products include over 30 code examples that you can use to speed development. - One BACnet device in the BACstac database can contain hundreds of thousands of BACnet objects. 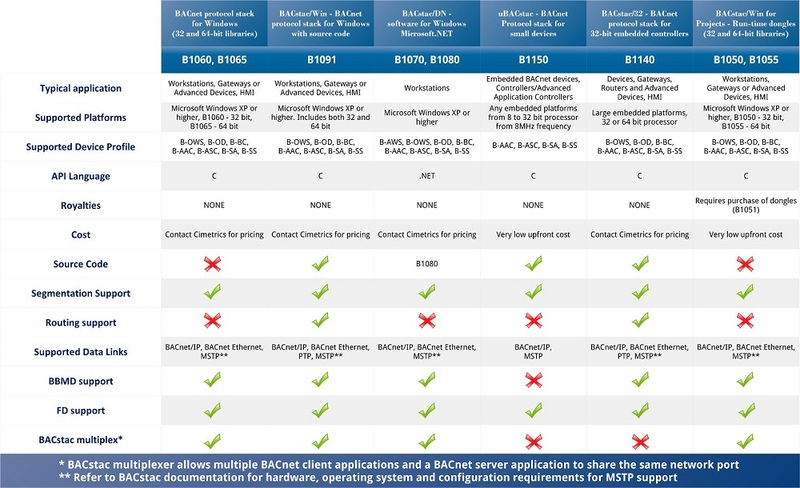 - A BACstac gateway application can emulate thousands of BACnet devices. - A BACstac-based client application can poll over 10,000 BACnet devices in parallel. - BACstac has been used by many companies and manufacturers, and it’s been thoroughly tested in the field for many years. - BACstac development is feedback driven – we work closely with customers and set priorities for the BACstac future development based on their feedback. If you need any features the BACstac currently does not have; we can always do custom development for you. Above all, we have a very mature stack that comes with detailed documentation and great technical support. The price and licensing model make choosing the BACstac a no-brainer. Sinclair: Can the customer who uses BACstac pass a BTL test? Lyons: Sure. The majority of our BACstac customers submitted their devices for BTL testing and passed it. Sinclair: Do you provide support? Lyons: Yes, we do. The first year is included with the BACstac purchase, and we answer any questions within a day. Sinclair: Where can I learn more about Cimetrics BACstac? Lyons: Just go to Cimetrics.com and look for BACstac in the Product section!